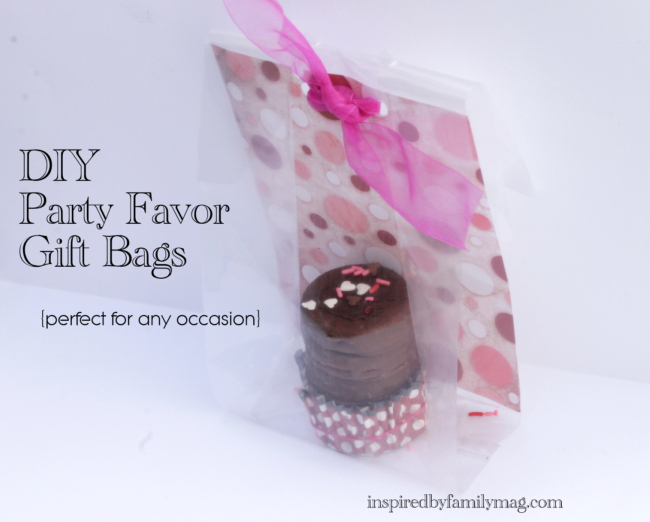 I love Treat Favor Bags, it’s one of my favorite ways to end a party! With this quick idea you can easily customize your party or gift in minutes. You will need paper with your favorite design, a clear bag, coordinating ribbon and your treat. In the picture above, I placed chocolate covered cookies w/ heart sprinkles since we are drawing near to Valentines day. 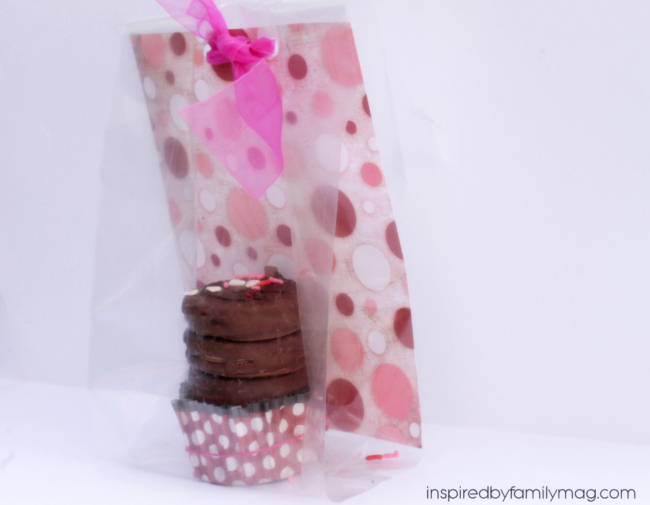 With a fun cupcake wrapper holding the cookies it made for a fun presentation. You can purchase the bags and paper at your local craft store. Stay tune for more fun or you can follow us via your favorite social network to get our updates:Twitter,Pinterest or Facebook and our readers preferred way via email. You will need to measure the paper to fit the back of the bag. Lay it flat on your paper and trace it. Then cut it out and place on the inside of the back of the bag, I didn’t have to glue it. Place your goodie inside and punch two holes on the top and slide your ribbon through.